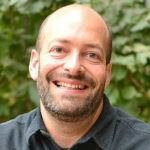 Andrew Friedman was an IILJ Scholar from 2005-2008 and received his J.D. from NYU Law in 2008. Andrew is currently the Co-Executive Director at The Center for Popular Democracy (CPD). Prior to joining CPD, he spent 15 years building Make the Road New York into the leading democratically-run, immigrant-led community organization in New York State. Since co-founding Make the Road in 1997, Andrew helped grow the organization from a small, volunteer-run effort to an $8 million organization with over 11,000 members, 100 staff, and four community-based centers in New York City and Long Island. Andrew helped oversee all aspects of Make the Road’s work, including the organizing, legal services, adult literacy, workforce development, operations and finance departments. Andrew has worked with the Latino Workers’ Center, the Neighborhood Defender Service of Harlem, the Center for Urban Community Services, the Government Benefits Unit at Brooklyn Legal Services Corporation A, and MFY Legal Services Mental Health Law Project. Andrew has been awarded the Union Square Award of the Fund for the City of New York, the Cornerstone Award of the Jewish Funds for Justice, and the Community Health Leaders Award of the Robert Wood Johnson Foundation for his work at MRNY. Andrew was a Skadden Public Interest Fellow, a Senior Fellow at the Drum Major Institute for Public Policy and a Wasserstein Fellow at Harvard Law School. He has worked as an adjunct professor in New York University School of Law’s Clinical Program, NYU’s Wagner School for Public Service and the New School for Social Research, and serves on the Board of Directors of Make the Road New York, and the Make the Road Action Fund.